Thrift-ola craft projects aren't just about using vintage materials to make stuff with, I'm also excited by experimenting with vintage systems and techniques like Print Gocco designed in 1977 by Noboru Hayama. 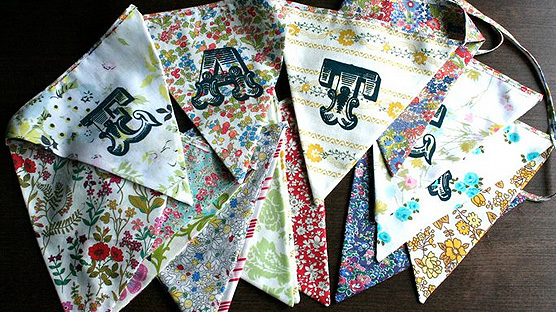 I’ve always been fascinated by the vintage Japanese screen printing machine – Print Gocco and when researching my next crafty adventure I stumbled upon this range of classes held by Xtina Lamb of Printed Wonders. I’ve booked myself onto the Print Gocco workshop on 16th June. There are still places left and if you ‘like’ her facebook page you can score a 10% discount! 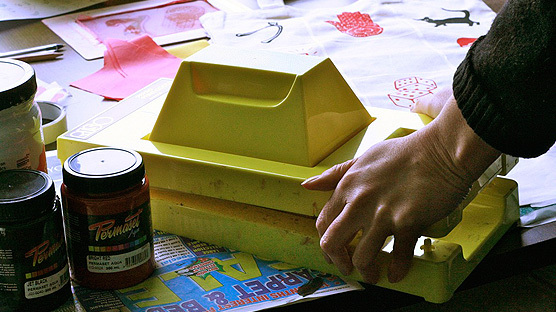 A yellow B6 machine used in Xtina's Print Gocco workshops. “PRINT GOCCO is a small scale system for making short runs of prints. Gocco machine models such as the B6 and PG-11 are designed to make up to about 200 or 300 postcard sized prints inside the machine. But you can also use Gocco machines to expose screen mesh and then screen print outside the machine. 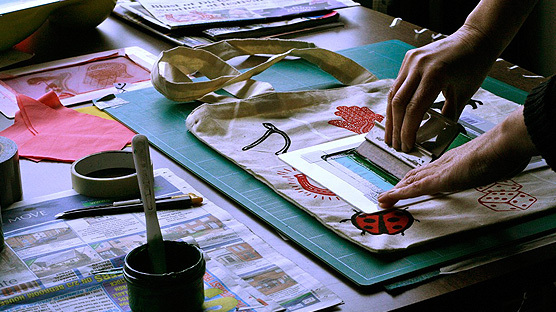 Screenprinting a tote bag in one of Xtina's Print Gocco workshops. Print Gocco was hugely popular in the 80s in Japan, where there is a tradition of hand making New Year’s cards. Now the rest of the world’s craft community has fallen in love with Gocco, but sadly just as the production of machines and supplies has stopped. It is hoped that another company will someday pick up production of the machines and consumables, but for now the future of Gocco is uncertain. This looks like an AMAZING crafting contraption! As always, I love the results of your thrifty craft experiments.